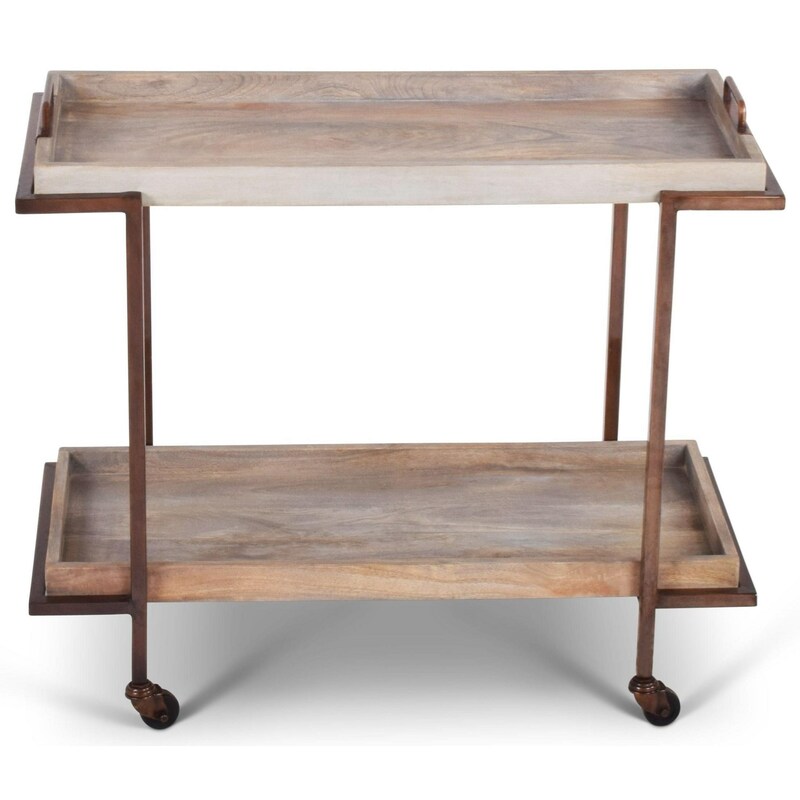 Stylish storage just got better with this rustic cart. Its mix of wood and metal creates a warm, modern look, ensuring this piece looks great wherever it goes in your decor. Thanks to its rubber casters, it can go anywhere too, and you can remove the top tray when you get there for a simple serving solution. The India Accents Rustic Conway Cart with Removable Serving Tray by Steve Silver at A1 Furniture & Mattress in the Madison, WI area. Product availability may vary. Contact us for the most current availability on this product. Enhance your home with more room for storage, display, and table space by welcoming these one of a kind accent pieces into your decor. Their creative use of materials, colors, and textures is sure to add some stylish personality to your living space that's as unique as you are. The India Accents collection is a great option if you are looking for furniture in the Madison, WI area. Browse other items in the India Accents collection from A1 Furniture & Mattress in the Madison, WI area.